It might be a bit terrifying to older DJs, but many new DJs don’t know anything about audio cables, wiring, and pre-amps. 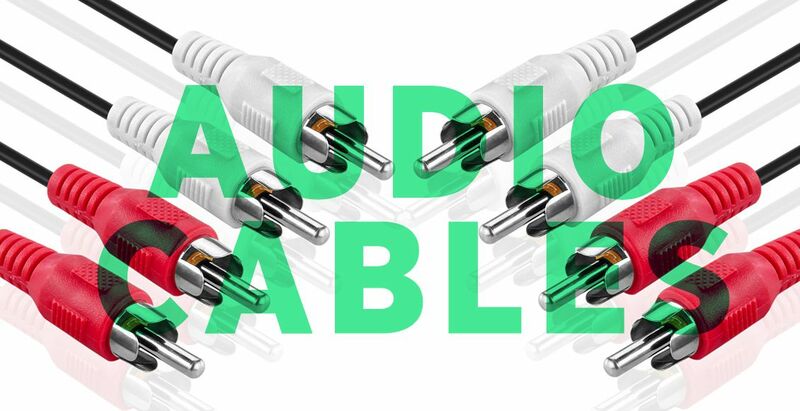 In today’s article, guest contributor DJ Soo shares a back-to-basics guide on audio cables. This is essential reading for every new DJ – pass it along and share your own must-know knowledge in the comments. Why Do Most New DJs Not Know About Audio Cables? 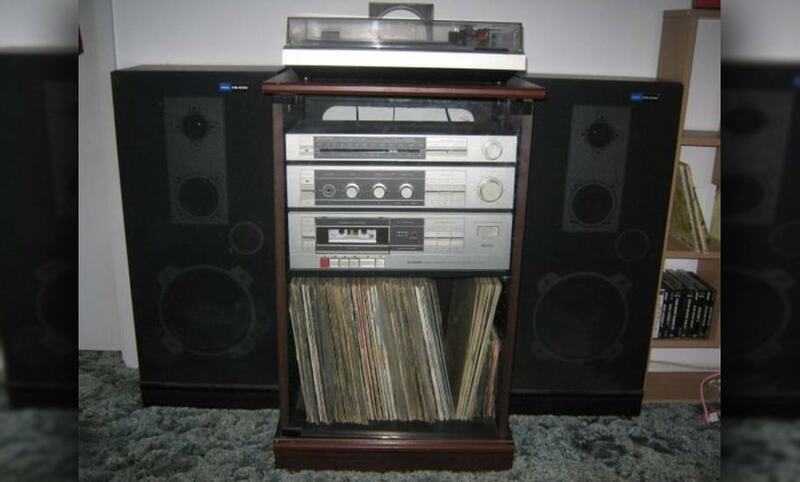 For decades, stereo systems were largely component-based gear requiring a certain level of knowledge and understanding to get home hi-fi systems up and running, with various components sending signal to each other. There were separate amplifiers, turntables, CD players, cassette decks, etc – and each had to connect to one another to get sound to the speakers. Wiring a hi-fi system is a skill of the past. In the last 20 years or so, the way we listen to music has drastically changed. The home stereo is no longer the source of music. Computers and phones are how most people consume their music, and the industry has focused on creating technology devoted specifically to them. Most home audio setups rarely need more than a 1/8” cable, USB cable, phone dock, or a Bluetooth connection. DJing and PA systems on the other hand, still remain firmly entrenched in a more traditional use of audio cables to connect various components and there may be many younger DJs that are not fully familiar with the various types of cables available and how each functions. So with that said, here’s a beginner’s guide to the different types of audio cables you’re likely to meet as a DJ. Editor’s Note: Many of these concepts might be obvious to most veteran DJs – but they are all included here to act as a comprehensive guide. The first thing to understand about audio is that it is very linear. There is generally either an output or an input. When it comes to audio connections, Output refers to the sound coming out of those ports, while Input refers to ports that receive that sound. This is what is known as “signal flow” or “signal chain.” Outputs should be connected to inputs along the chain of devices. For instance, when connecting a device like a CDJ or controller to a DJ Mixer, you want the CDJ outputs sending audio to your mixer inputs for their respective channels. On a standard DJ mixer, your MASTER, BOOTH, and REC OUT will be your outputs while your channel ports will be your inputs. Audio cables are often colored red and white to easily track which side is connected to which channel. This one is fairly obvious – the tracks you DJ with are almost always produced in a stereo field. This means the signals for the left and right speakers differ. In most audio gear, that means separate ports and cables are required for the left and right side of the signal. Traditionally, the right side port will be colored red, while the left side will be white or black. The coloring on the cables makes no functional difference – they’re just an easy guide to keep track of where things are plugged in. 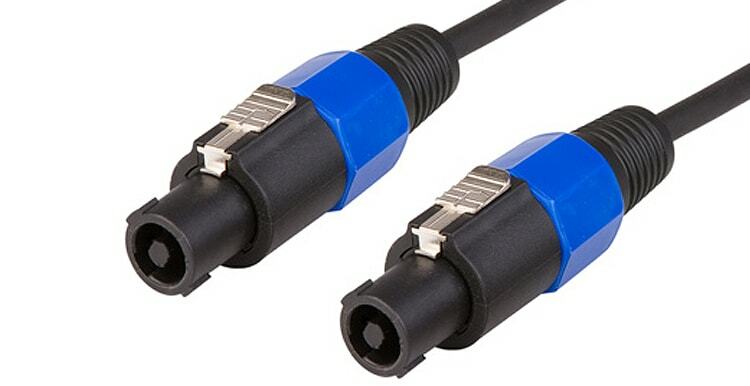 The terms “Male” and “Female” in regards to cables and ports refers to the type of connectors of the cables. Male connectors plug into things, while Female connectors have things plugged into them. I’ll let you figure out where the terms originated from. Most cables used in DJing will have male ends on each side, with the female connections as the ports on the hardware. With XLR cables (more on them below), there’s almost always a male and female end, with outputs on hardware almost always being male and inputs almost always being female. In order to use balanced cables, the hardware must also have balanced outputs. This will be labeled on the gear. If you have to use long cables, you should always try to use balanced cables and outputs! Amplifiers do pretty much what the name states: it amplifies power and in the case of audio, the volume. 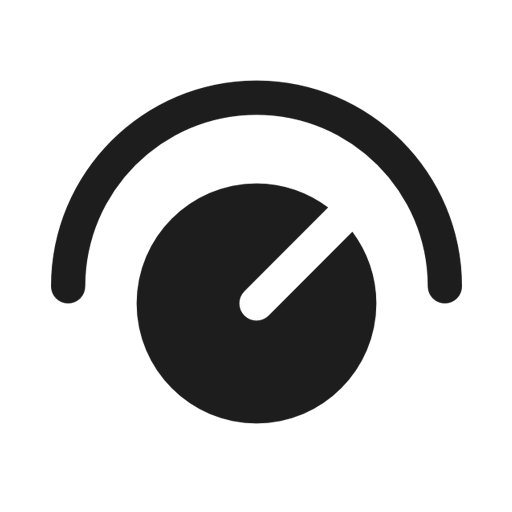 Audio output from computers, CDJs, phones, and other non-analog devices is what’s known as line level audio. This is a specific range of volume output by devices. There are, however, certain devices that output considerably quieter or weaker signals that require an extra stage of amplification to output at a similar volume. The two most commonly encountered pieces of gear for DJs will be turntables and microphones. DJ turntables require what’s known as a phono pre-amp to get vinyl at a similar volume level as a CDJ or controller. Almost all DJ mixers will have built-in pre-amps, and some of the more modern turntable options also have built-in pre-amps. Phono inputs on DJ mixers are specifically for turntables and nothing else as they have a specific layer of EQing required to make vinyl sound like real music (known as the RIAA EQ curve). If you’ve ever plugged in a turntable into the Line input of a mixer and heard a quiet signal or worse, or plugged a CDJ into the Phono input and heard a loud, distorted mess of a signal, it’s because of the pre-amp (or lack thereof). Microphones also require a pre-amp as passive mics also tend to be very weak compared to line level sound. Most line or front-of-house mixers have both line level and mic level inputs that can be plugged into. Unlike phono pre-amps, the input does not alter the sound outside of amplification so it is possible to plug a line level output into a mic input and drastically lower the gain to prevent clipping. Some mixers will also have what’s known as a “pad” option which automatically adjusts down the level by about 20 db essentially converting the input into a line level input. RCA is one of the most ubiquitous cable formats in audio gear. Developed in the 1940s, it has remained largely unchanged since and continues to be one of the standard cables for linking audio components. This cable is used for everything from CDJs to mixers to main outputs to stereo systems. 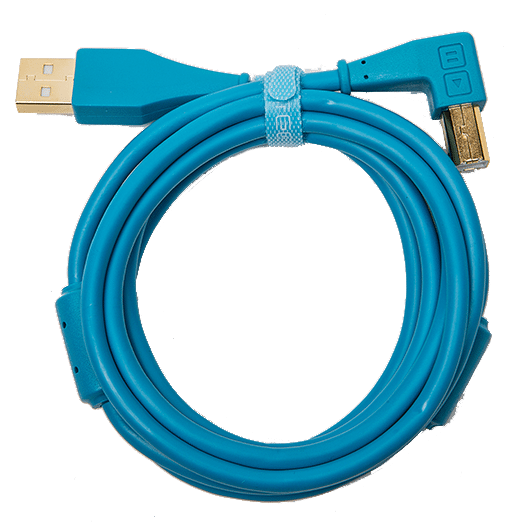 Due to the unbalanced nature of RCA cables, they are best used for shorter distances. This is fine connecting a CDJ to a mixer or a controller to a mixer, but for entry-level mixers and controllers that only have RCA outputs for the mains, it isn’t recommended to connect directly to a PA system if the cables are going to be longer than 15-20 feet just due to the increased risk of noise and interference. RCA cables can also be used for S/PDIF or Digital Outputs although a specific cable (75ohm cable) is supposed to give the best results. 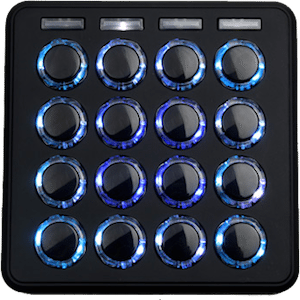 This is most commonly seen in higher end Pioneer CDJs and Nexus mixers. 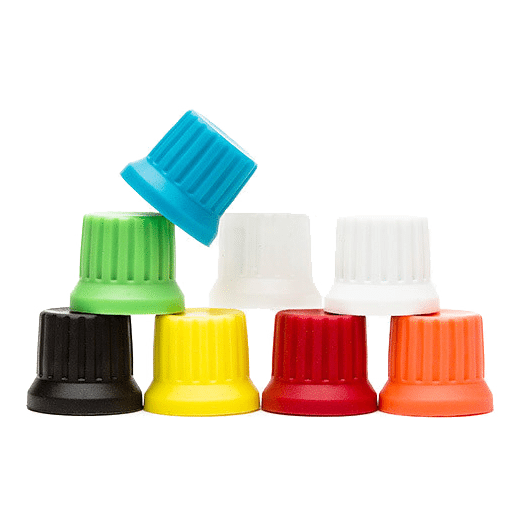 TRS stands for Tip Ring Sleeve which is another ubiquitous cable format alongside TS which is simply Tip Sleeve. The most commonly seen usage of the TRS connector is the 1/8” or 1/4” jack used in headphones. These cables are also used as PA Speaker cables, microphones, and instrument patch cables. Outside of headphones, in the DJ world, they are often used as main outputs or booth outputs. The important thing to note: these cables can either be balanced or unbalanced. TRS cables are balanced while TS cables are unbalanced. The easy way to tell the cables apart is that TRS cables have an extra plastic ring around the jack rather than the single in a TS cable. XLR cables are one of the standard cable formats for pro audio. Unlike most audio cables, XLR will almost always have two different ends – one male and one female. XLR outputs and inputs are most commonly used for main outputs on mixers or higher end controllers or for microphones. 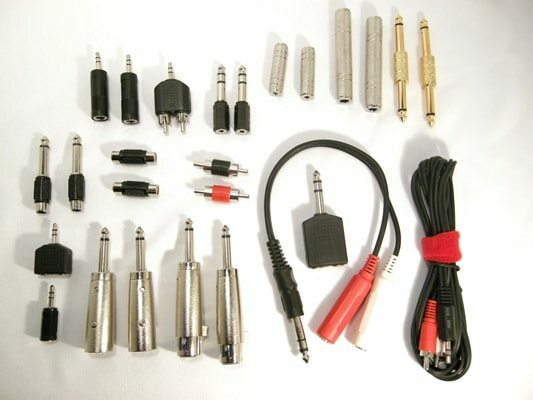 If you’re building up a mobile PA system, this will be the cable you will most likely use the most to connect speakers. SpeakOn cables are most often used in higher end and larger PA systems – festival and concert rigs and the like. 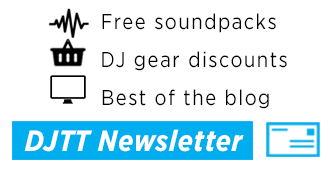 DJ gear does not use SpeakOn connectors – they’re used to connect amplifier racks to passive speaker rigs. The advantages to SpeakOn cables is the greater shielding to prevent interference or even electrical shock, more durable and thicker cables, and a superior locking mechanism. Newer passive speakers (i.e. requiring separate amplifiers) will often sport SpeakOn connectors vs XLR connectors on powered or active gear. I’ve always hated speaker wire. It’s messy, ugly and hard to deal with. They were the standard for HiFi systems for decades. It’s essentially two raw bundles of small copper, wrapped in rubber, with the copper exposed on each end. This wire is used to connect an amplifier to passive speakers. If you’ve ever had to ground a Technics to a ground post with the grounding fork missing, connecting speaker wire is the same, but more of a pain. Speaker wire is essentially two wires melded together – a positive and negative side. The exposed wires are often twisted up and jammed into a clip connector or a binding post (similar to a grounding post). Some speakers will have special connectors you can attach to the wires to make it simpler. Combo jacks are jacks that can take both XLR and 1/4” TRS/TS cables. They are always female so they always function as inputs. These are most commonly found in active speakers. There are times that certain pieces of gear require different connectors on each ends (for example, connecting a DDJ-SR – which only has 1/4” outs – to a pair speakers that only have XLR inputs). The easiest way to solve this is to use either adaptors or cables with different connectors on either end. Want to change cable types? There’s seemingly an adaptor for every possible situation. If you can think of a combination of connectors, then an adaptor or cable exists for it. While adaptors are convenient, I tend to gravitate towards dedicated cables (or in the case of XLR, they also function as adaptors – just with a length of wire between them). Adaptors can be bulky and in the case of some manufacturers of connectors, aren’t the most snug leading to signal loss or noise. Add to that, given that most DJ gear tends to plug in horizontally, heavier adaptors can stress the plugs – which can end up damaging your gear. If you have a mixer or controller which only has RCA or unbalanced 1/4” outputs and you want the option of running cables longer than 15 feet, there are a couple of ways to convert the signal to a balanced output. The first is a DI or Direct Box which is a small unit that is purpose-built to convert the signal into a balanced output. They come in different sizes and styles some which are very basic and others which have a host of more features. Best bet is to find one that supports stereo inputs and outputs, otherwise a pair of boxes will be required. The other option is to run the device into a separate mixer with balanced outputs. There are plenty of small-size and affordable mixers which accept RCA or 1/4” inputs and have balanced XLR or 1/4” outputs. The added benefit of these mixers is that it allows for an extra gain stage to boost volume. This is especially useful for entry-level devices that tend to have lower output. 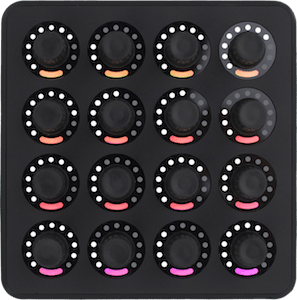 A DJ mixer will also function well for this application – so venues with any type of house mixer will work fine. What other audio cable knowledge do you think every DJ should know? Let us know in the comments and we’ll expand!